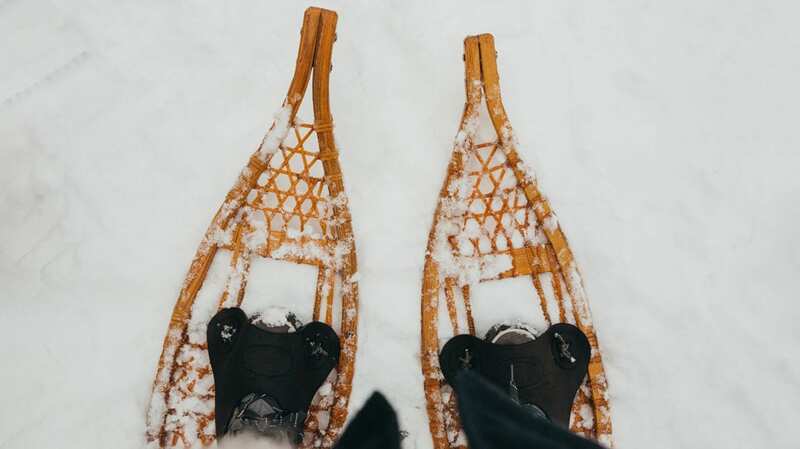 Go snowshoeing at the Nature Center! Any time there is at least five inches of snow you can slip on a pair of our snowshoes and explore winter trails. No experience is needed, and it is a fun way to get outside and be active in the winter months. Plus, the scenery on our trails takes on an entirely different kind of beauty when covered in snow. Ready to snowshoe? Remember, there must be at least 5 inches of snow on the ground to protect our snowshoes. Wear either winter or hiking boots. Feel free to bring hiking poles or ski poles; they are helpful but optional. Snowshoes must be used at the Nature Center only, during business hours. We have children and adult sizes. Rental fee (choose morning or afternoon): Members $8; Nonmembers $12. If you are a member of the Nature Center at the Household Plus level or higher ($75 per year), snowshoe rentals are included for free! Just show your membership card at the front desk. Further reading: check out Snowshoe Magazine’s First-Timer’s Guide to Snowshoeing.